Thinking of getting rid of the sofa in your living room that has a huge stain on its middle seat? Stop right there! TruRinse brings you exceptional professional furniture cleaning services that help you keep your upholstery fresh and clean throughout the year. With special state-of-the art equipment and world-class techniques, we are your best friends when it comes to making that furniture of yours look brand-new. Whether it has been in use for a long time or it’s a new addition that has been ruined by your beloved pet, we have every solution for you. Furniture cleaning services have never been done better. TruRinse helps you elongate the life of your furniture and retain their beauty for years to come. 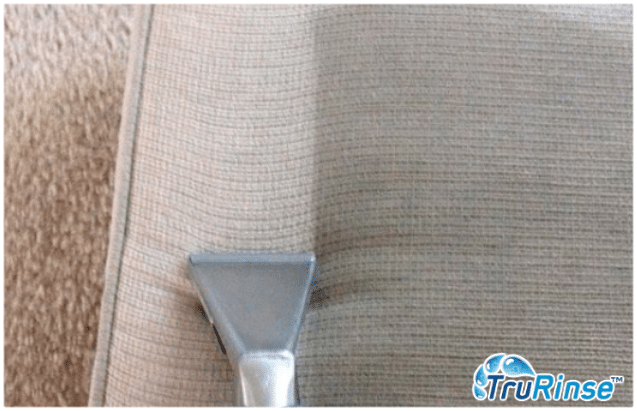 While you may be tempted to clean your upholstery yourself, it might not be as easy as it looks. Of course, a professional furniture cleaning guarantees outstanding results and saves you the effort of trying to get rid of that coffee stain your sofa received last Christmas. For the general furniture cleaning, we use our original soap-free technology with our environmentally safe products that help make the world we live in a better place. The reason we use soap-free technology is because the chemicals that make up any sort of soap have the ability to damage the fibers and additionally, any residue that gets left behind attracts even more dirt. Therefore, our soap and chemical free technology is arguable the best alternative when protects your furniture and also does not cause any harmful effects on the environment. In addition to that, when you have pets in the house, you can often find yourself fussing about any “accident” that they might have had on the furniture. Urine stain and odor is something that is a headache to get rid of and no matter how strong the smell of the cleaning agent is, it almost never completely wipes out the distinguished stench of animal urine. Our professionals are trained to effectively locate the smell and treat it. For the spots that are difficult to get to and clean, our team uses a special technique using enzymes that crystallize the urine so that it can then be extracted and deodorized. Not only is out technology and service top-notch, our staff is extremely skilled in all the services we offer and we truly are the best in the industry when it comes to the friendly-ness and professionalism of our workers. Simply, our staff is trained in the best techniques to take care of your home. Our cleaning services are believed to be the best because we speak from records. Customer loyalty is one of our biggest priorities and about 83% of our clients are repeat customers. So before you decide to toss out that old upholstery, give our professional furniture cleaning service a try. Give TrueRinse a call today (801-226-6827) or start your booking online (TruRinse.com/Book) and let us rid you of all the impossible stains and unbearable odors.